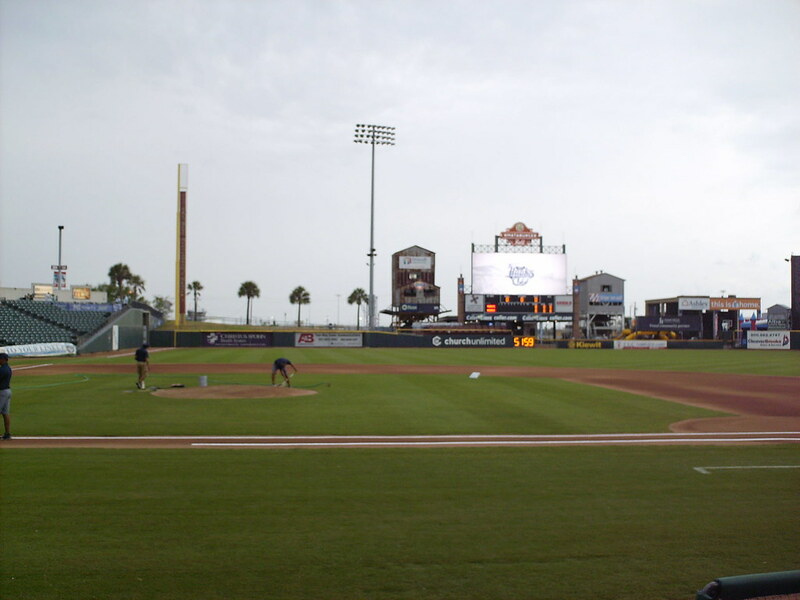 The view from behind home plate at Whataburger Field. 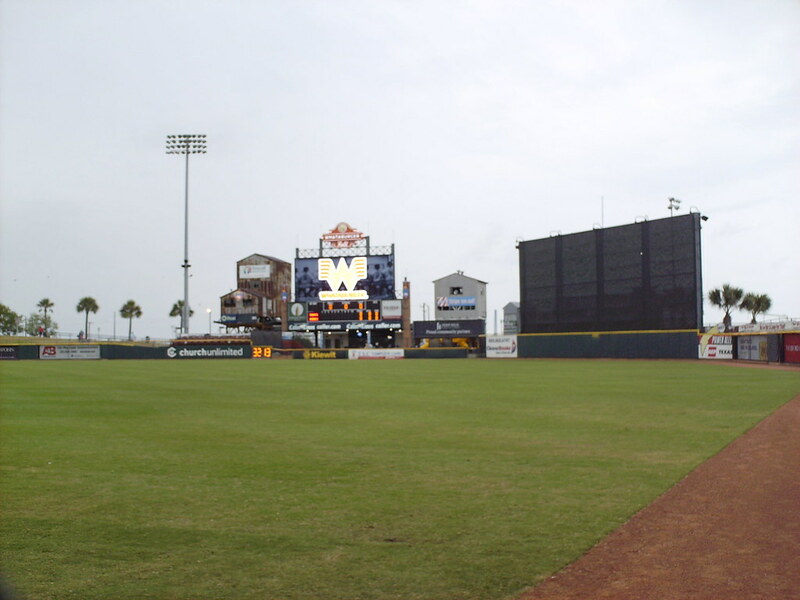 The grandstand at Whataburger Field, as seen from center field. 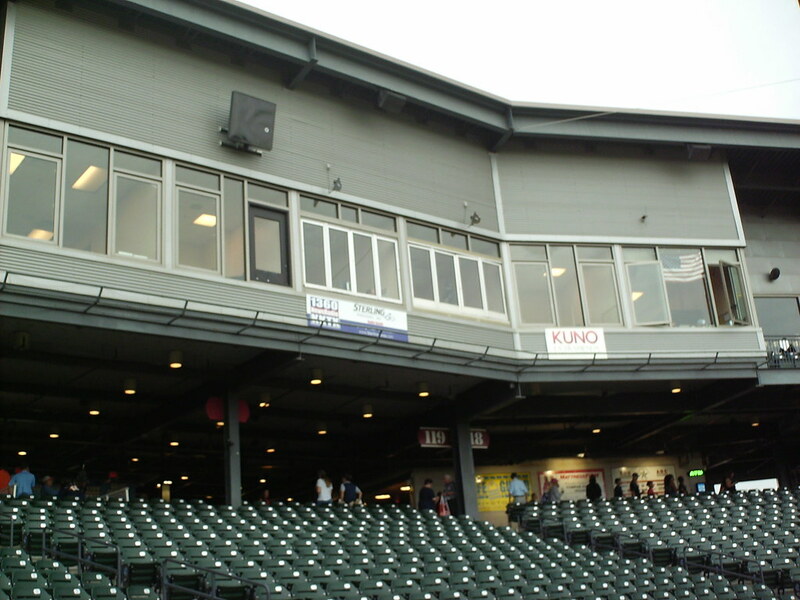 The pressbox extends out from the second deck behind home plate. 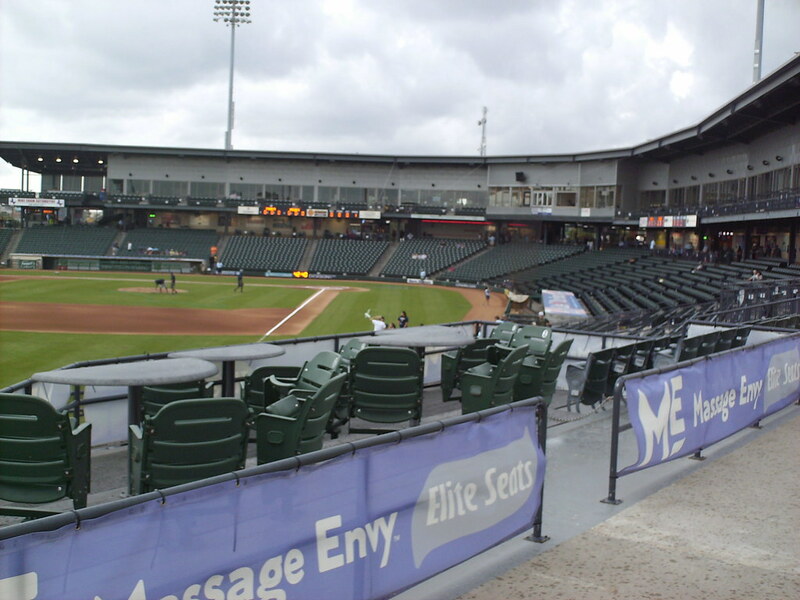 4 Top table seating overlooks the field from the left field corner of the grandstand. 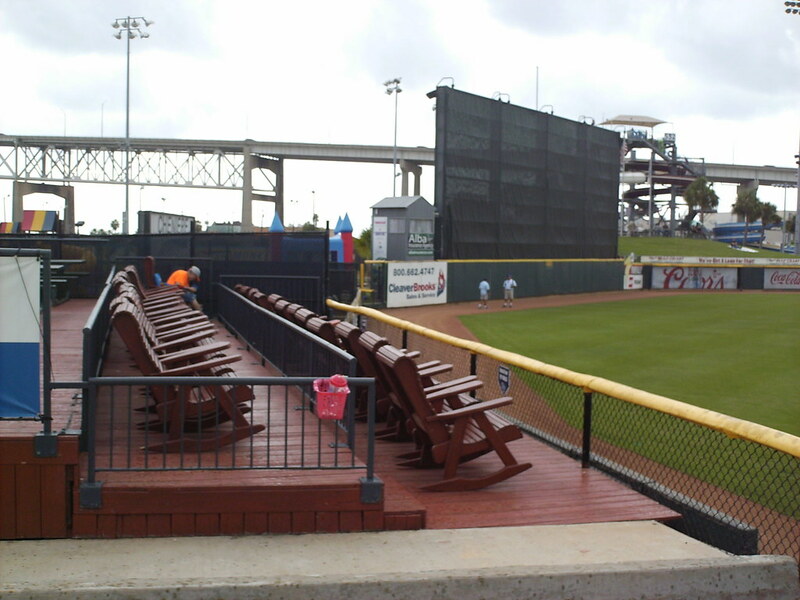 A picnic deck behind the left field wall features Adirondack rocking chair seating. 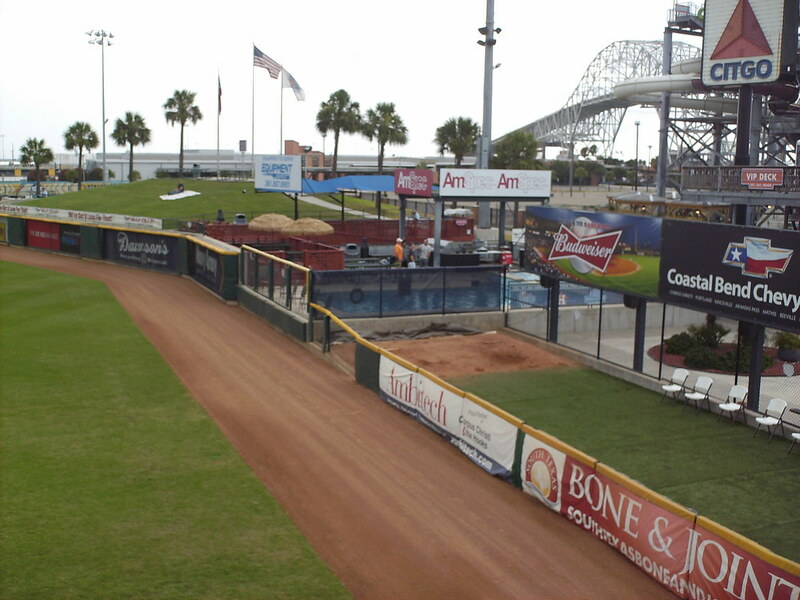 A second party deck and a swimming pool sit beside the outfield berm in right center field. 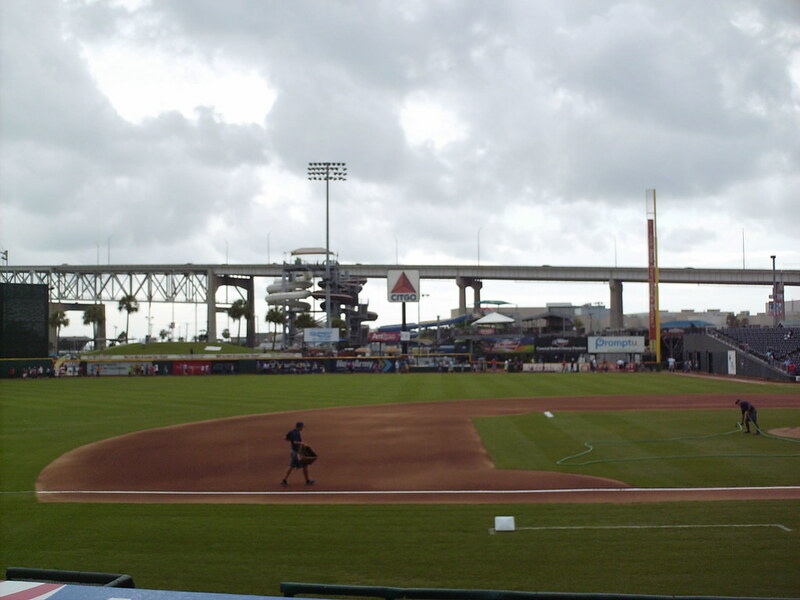 Downtown Corpus Christi, as seen from center field at Whataburger Field. 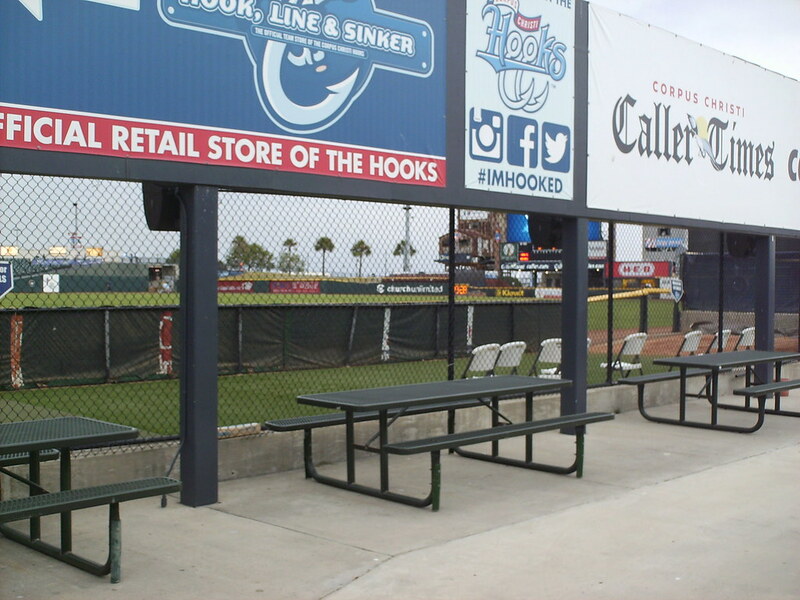 Picnic tables along the outfield concourse give fans an up close look at pitchers in the right field bullpen. 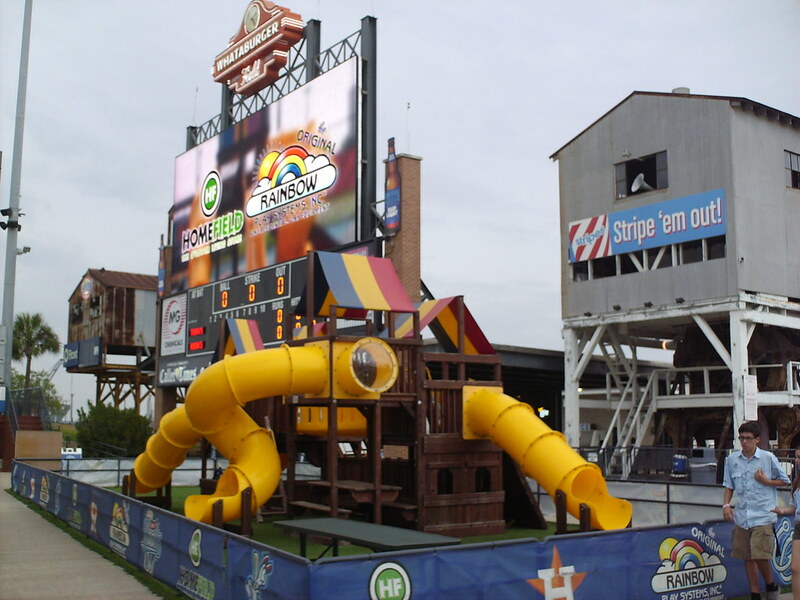 A children's play area sits along the outfield concourse in left field. 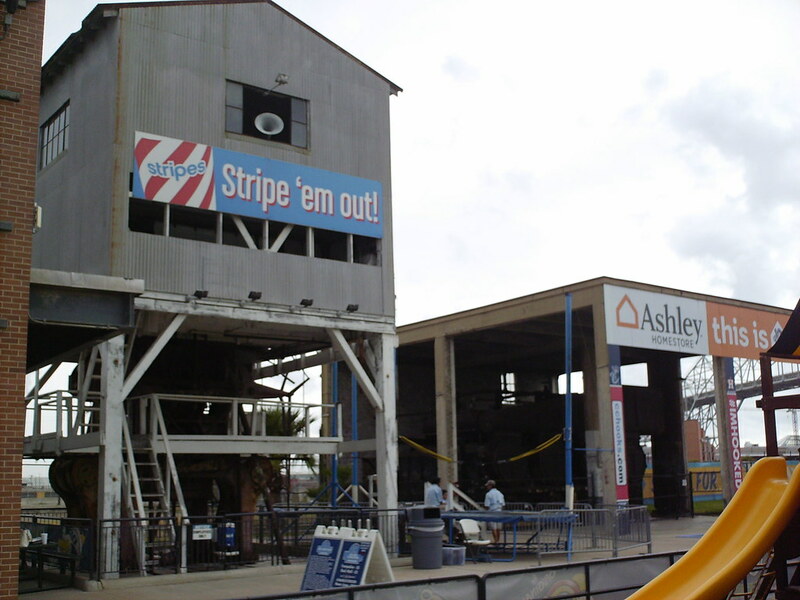 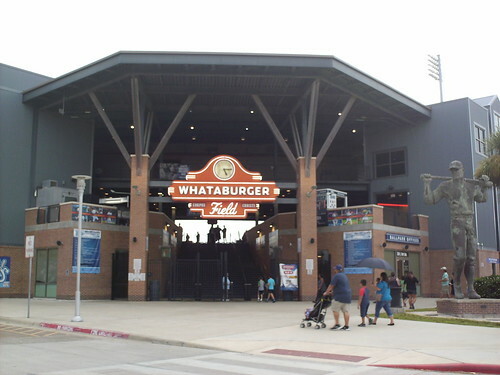 Whataburger Field was built on the site of former cotton warehouses at the port of Corpus Christi, and several cotton processing structures were retained as part of the ballpark in left field. 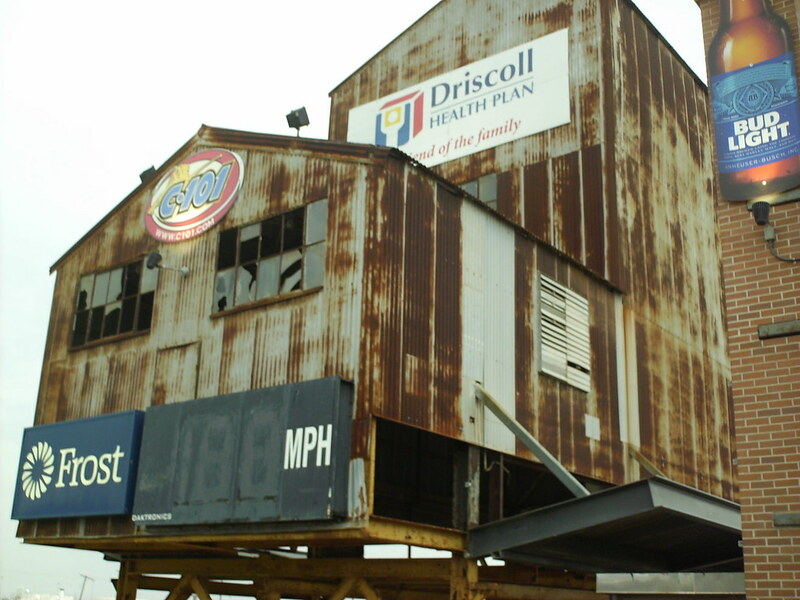 One of the old cotton presses in left field dates from the 1920's and now holds the park's pitch speed board. 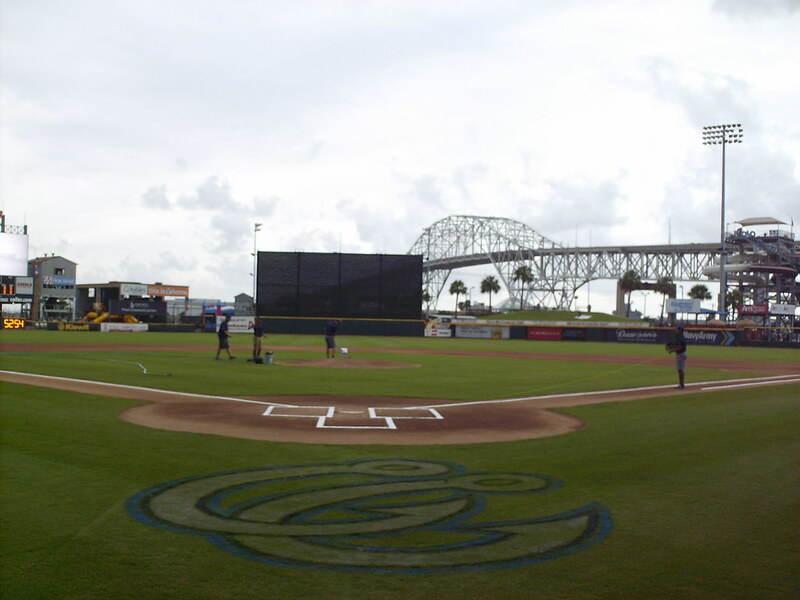 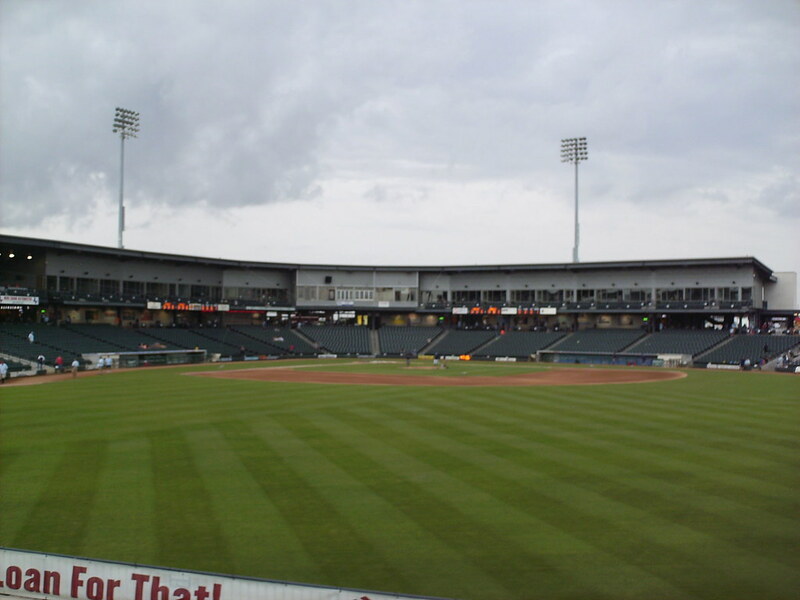 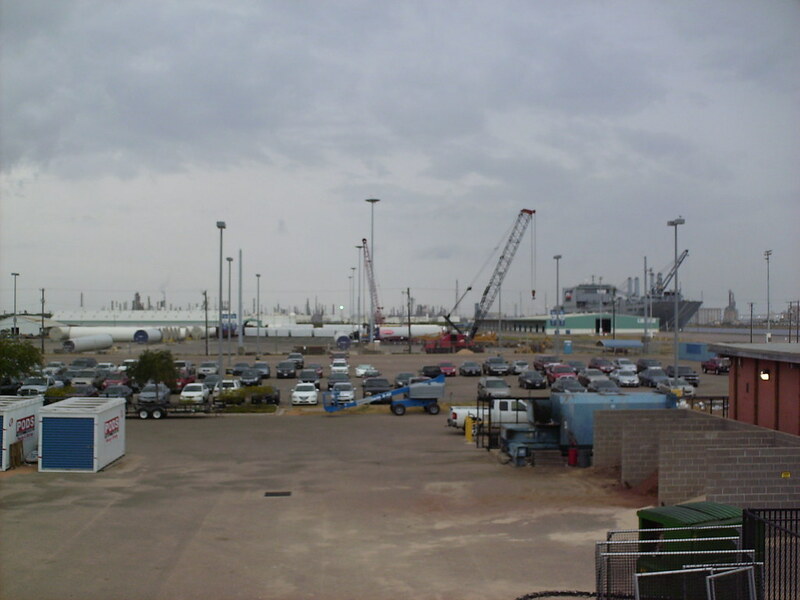 The port of Corpus Christi as seen from the outfield concourse inside the park. 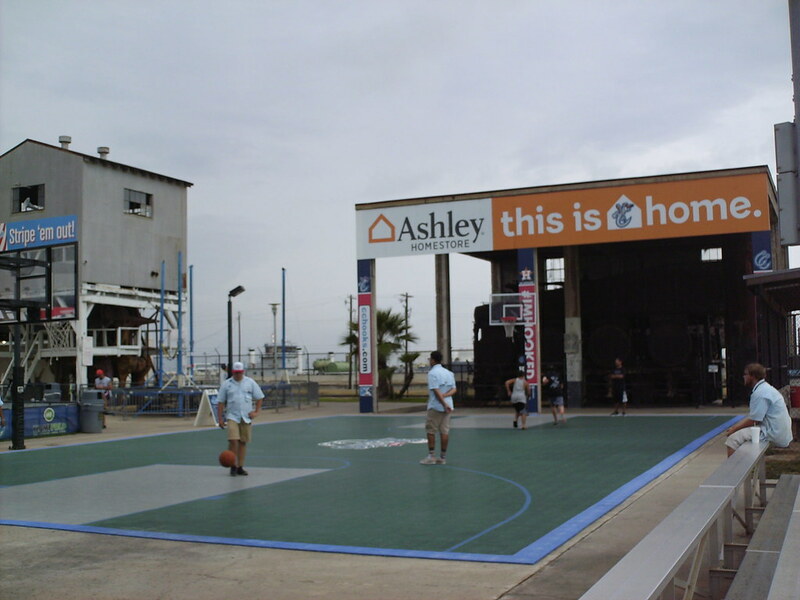 The park features a full sized basketball court, complete with bleachers for spectators, in the left field corner. 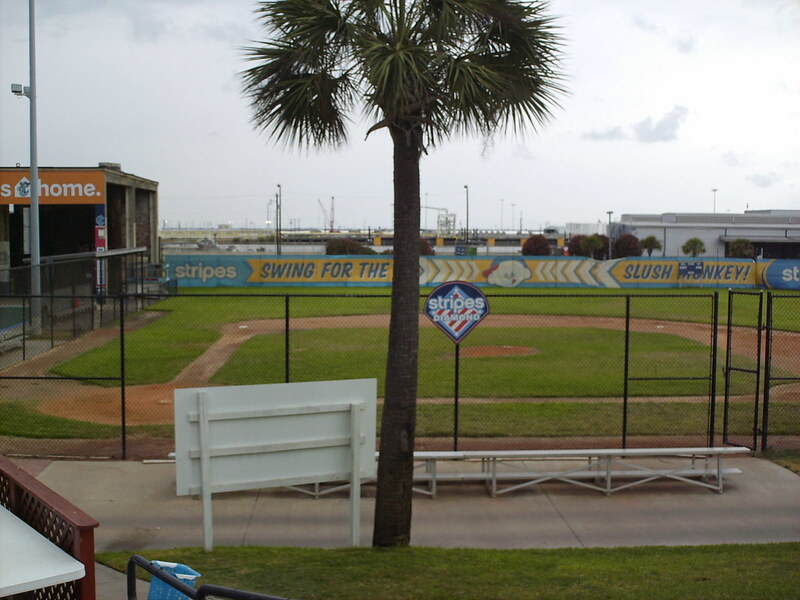 Next to the basketball court is a large youth baseball field with real grass and dugouts. 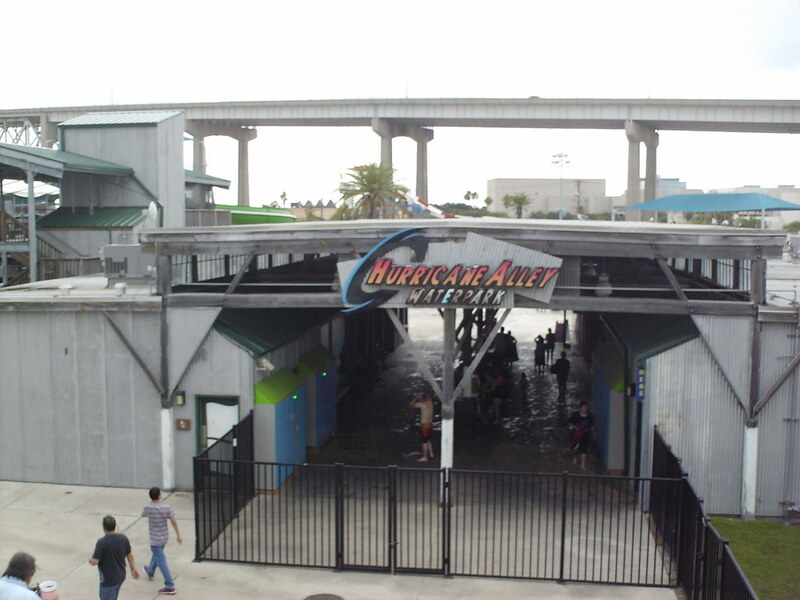 Hurricane Alley, a water park, sits adjacent to the ballpark and a gate in right field connects the two attractions. 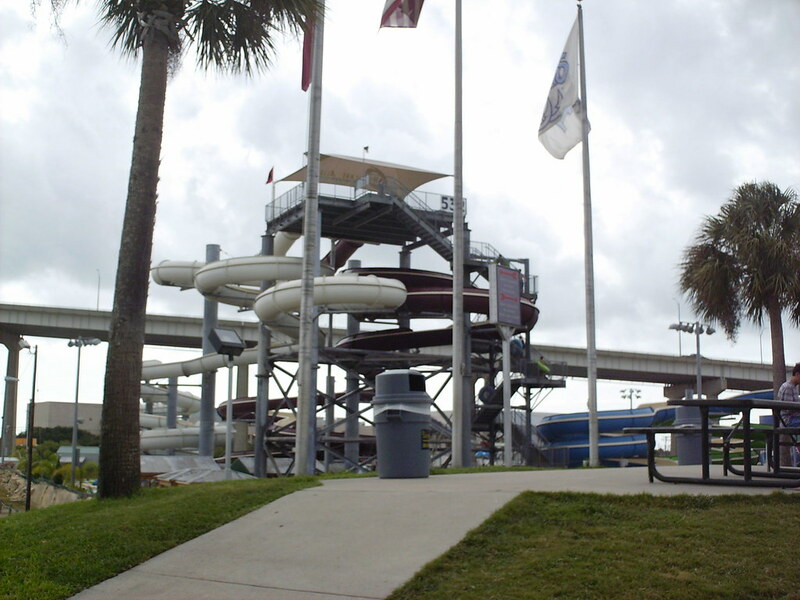 A waterslide at Hurricane Alley towers over the right field berm and features a sign at the top announcing the distance from home plate to the slide. 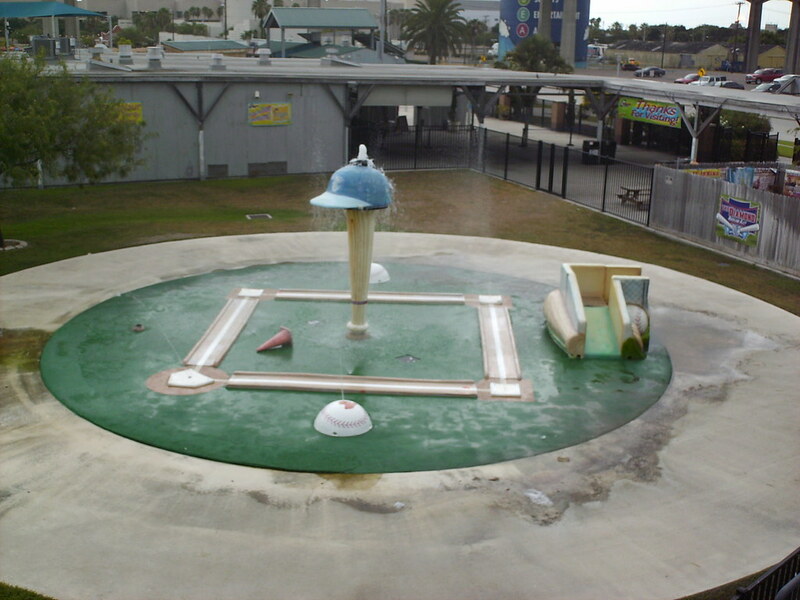 A baseball themed water attraction sits between the ballpark and the water park along the lower concourse. 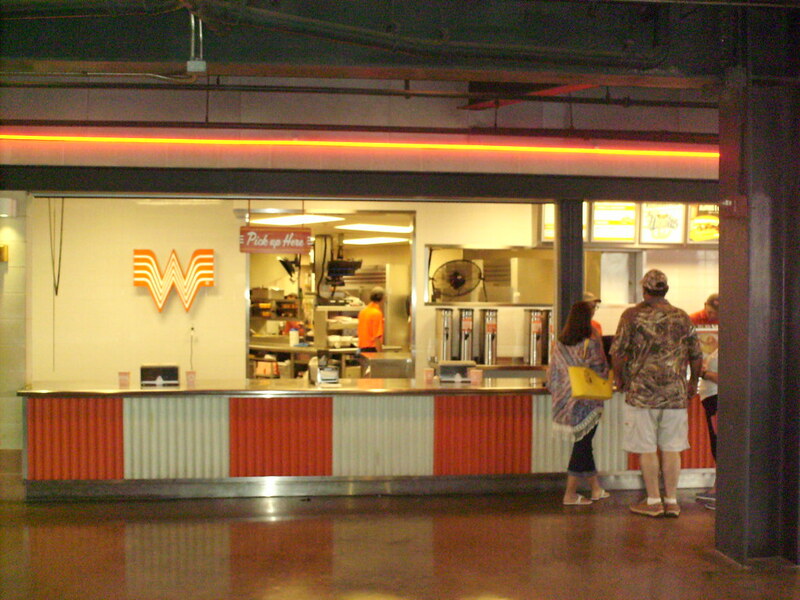 Whataburger Field, of course, features a Whataburger restaurant as one of the concession stand options. 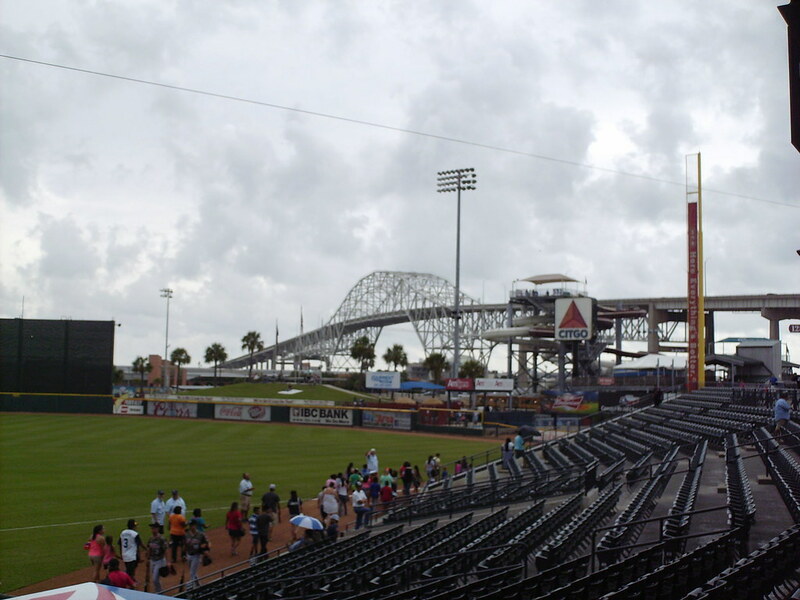 Corpus Christi's Harbor Bridge looms over the ballpark and provides a signature backdrop to a Hooks game. 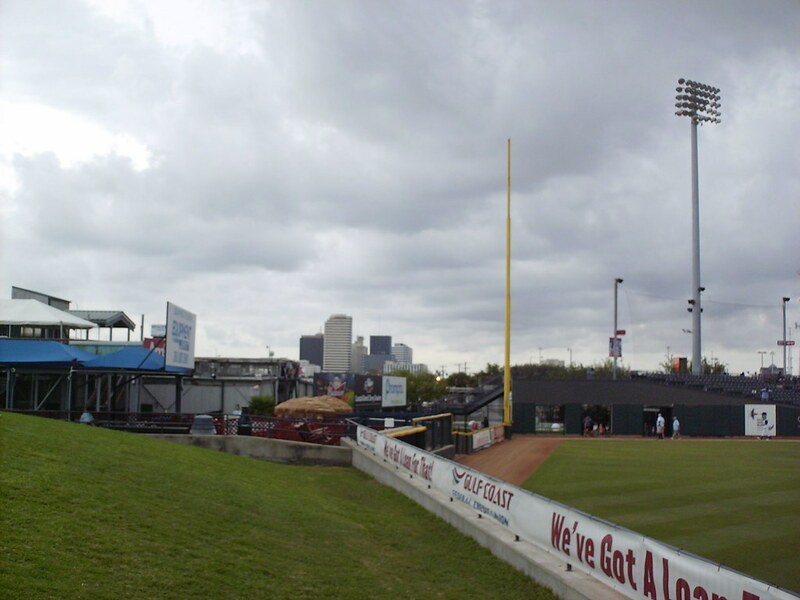 The outfield fence changes height multiple times as it wraps around the field of play. 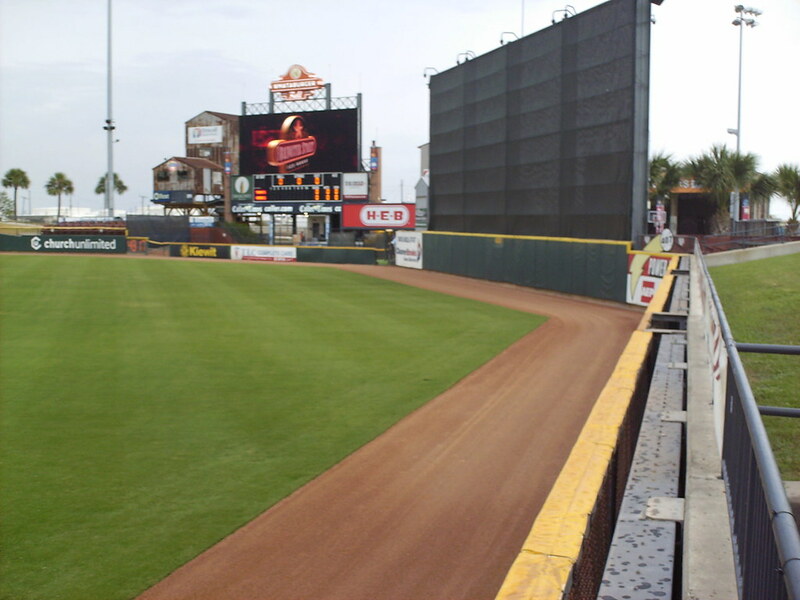 The scoreboard, behind the left field wall. 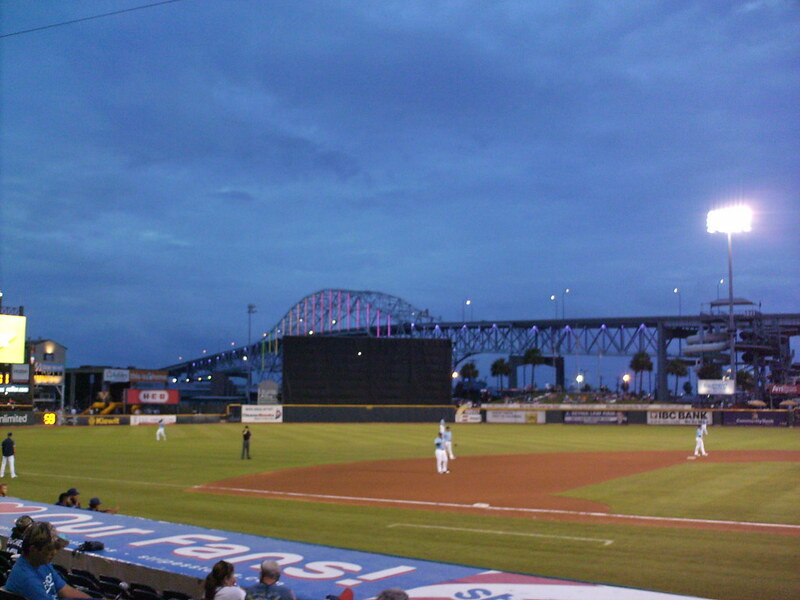 The Harbor Bridge lights up at night as the Corpus Christi Hooks take the field during a game at Whataburger Field.